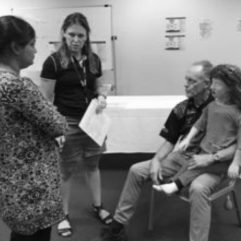 The Introduction to Simulation course is a one day course aimed at simulation users ranging from complete novice to regular reluctant participant. 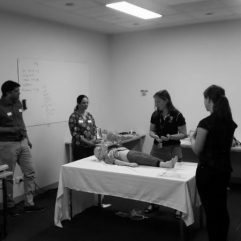 Simulation is now being used in many areas of the medical/nursing field both for learning and summative and formative assessment. 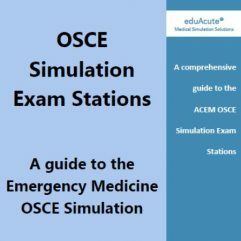 Those who are unfamiliar with the methods of simulation are disadvantaged both in their on-the-job learning and also when it comes time for them to perform in assessments. 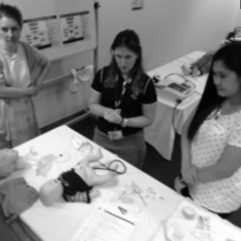 From hospital mandatory credentialling to college fellowship examinations, being comfortable with simulation is a vital skill for all healthcare providers. By the end of the one day course, participants will be familiar with how simulation can be used to meet their educational needs. They will also be proficient in role-playing and suspending disbelief so that they can demonstrate their skills in their field within the constraints of simulation as an assessment tool. 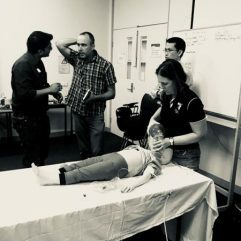 After initial presentations participants will be split into smaller groups to work with faculty on familiarising themselves with the mannequins and technology available for mobile simulation and the CRM principles that are honed in simulation. 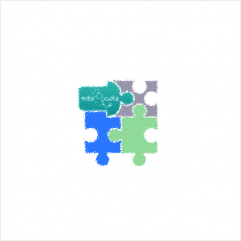 This course is targeted at anyone who uses medical simulation and is either new to this educational tool or just wants to increase their knowledge on the ins and outs of simulation as a teaching modality.